Our scanning and proofing service is ideally suited to anyone who would like to create reproduction prints of an original artwork, or simply have a digital image to use online or keep for future use. 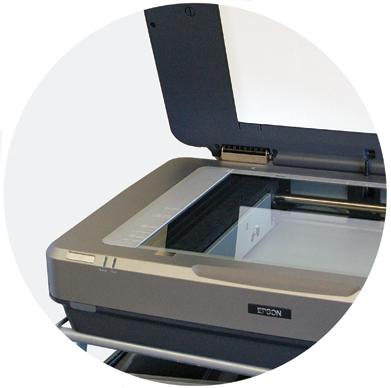 Our Epson scanner captures colour and detail in exceptional 2400 dpi resolution up to A3+ size. Our scanning and proofing service starts from £30.00 for artwork up to A3 size. For this we will scan and colour match to your original artwork, and produce you an A4 printed proof, and make colour changes if necessary. Once you are happy with your proof, you can order prints, or take away the digital image file. We can keep your scanned images on our system to allow you to easily order prints in the future. Having a photograph scanned is ideal if you’d like it enlarged and printed onto photo paper or canvas. 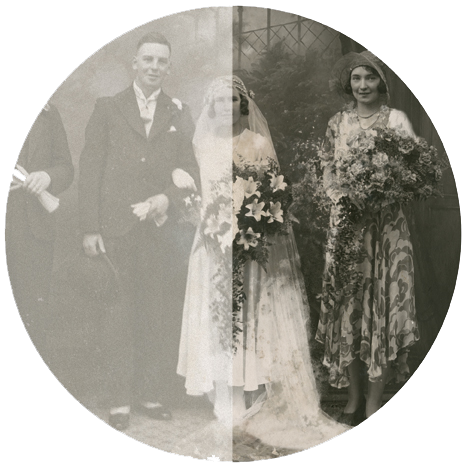 We can also digitally ‘restore’ photographs by reducing fading, removing scratches and other damage and improving the balance of colours. Prices for this service vary depending, so you are welcome to contact us or visit us in our Gallery for a no obligation quote. All our printing, scanning and restoration work is carried out In-house. Just Contact Us and we will be able to advise and quote for your individual requirements.